This is Hanuman, the mighty warrior monkey. 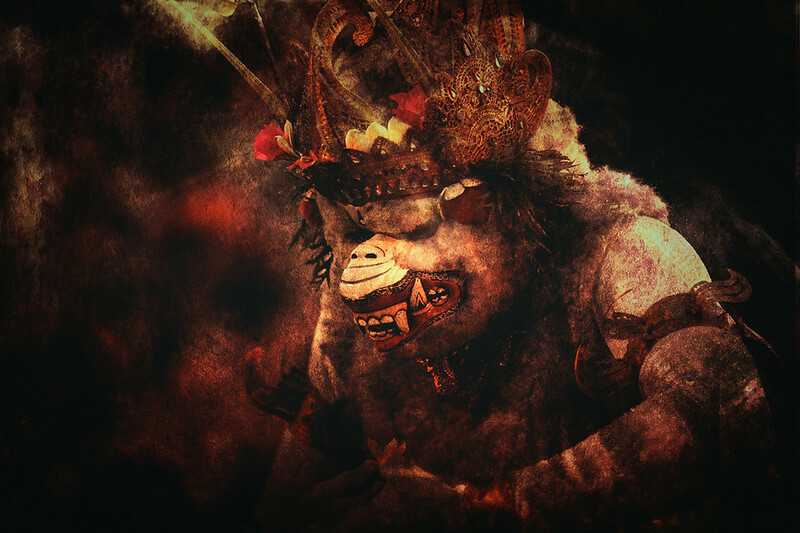 One of the characters from the Kecak Dance of Bali Indonesia who Hama allies himself so as to save his wife Sita from the clutches of Rahwana. Hunaman is a hero and a fan favorite of the Kecak Dance. This is part of a series of photos I'm doing from the Kecak Dance. I've been going back to my travel photography and taking another pass at processing. I'm trying to create a more artistic version of what I shot rather then just posting boring travel photography. 🙂 Plus I keep finding old photos that I've forgotten about. It's finally nice to be getting caught up.